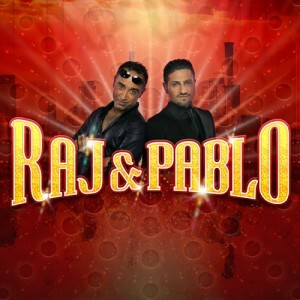 Raj&Pablo celebrate 100 Years of Indian Cinema Tonight on BBC Radio 2! The Bollywonderful guys Raj&Pablo are taking a look back and celebrating 100 years of Indian cinema tonight at 10pm on BBC Radio 2! Little did Dadasaheb Phalke, the “Father of Indian cinema” know that, at the release of his film Raja Harishchandra on 3rd May 1913, he would unleash an industry that would become world leaders. It has withstood the test of time, despite the vast cultural differences in the past 100 years. Through music, anecdotes, archives and interviews, our own “Jewels In The Crown”, Bollywood experts Raj & Pablo, transport us to the glamorous world of Indian cinema, to explore why the industry maintains its popularity, producing over a thousand feature films each year. For instance, did you know that the longest screen kiss lasted over a breath-taking four minutes and was from the movie Mamyab Raste? The Errol Flynn of Indian cinema was a woman – “Fearless Nadia”; and in the 1950s Life Magazine announced that “the biggest star in the world, didn’t live in Beverly Hills” she was the Marilyn Monroe of India – Madhu Bala. In its centenary year, with the release of movies such as Barfi!, starring former Miss World Priyanka Chopra and Ranbir Kapoor plus so many more fabulous films, the world of Indian cinema has never been more deserving of the title “The Jewel In The Crown”.